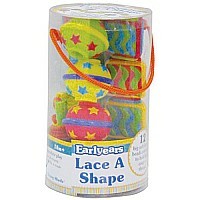 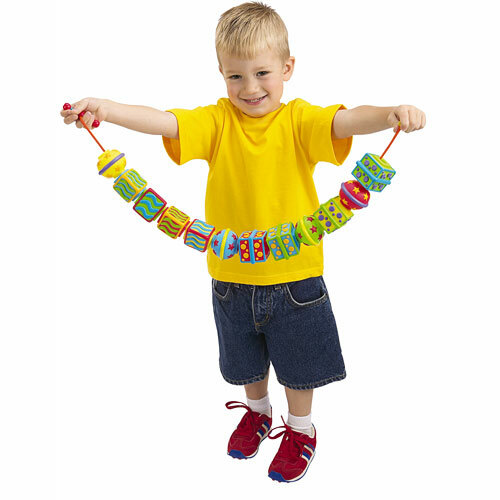 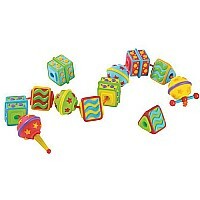 Lace-a-shape features 12 big soft lacing beads that are easy for little hands to hold and thread. 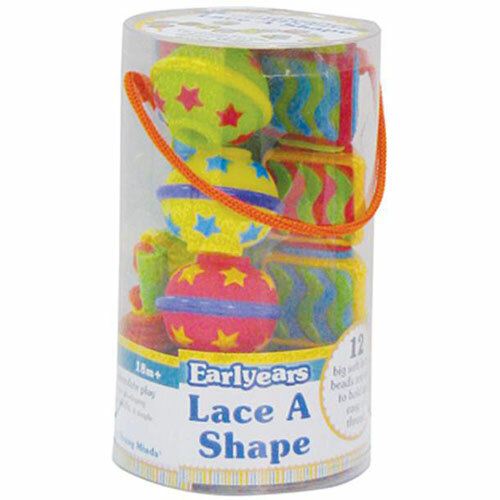 The lacing beads are great for developing motor skills and hand-eye coordination and the bright colors and tactile features stimulate play and learning. Easy success encourages interaction and builds confidence.